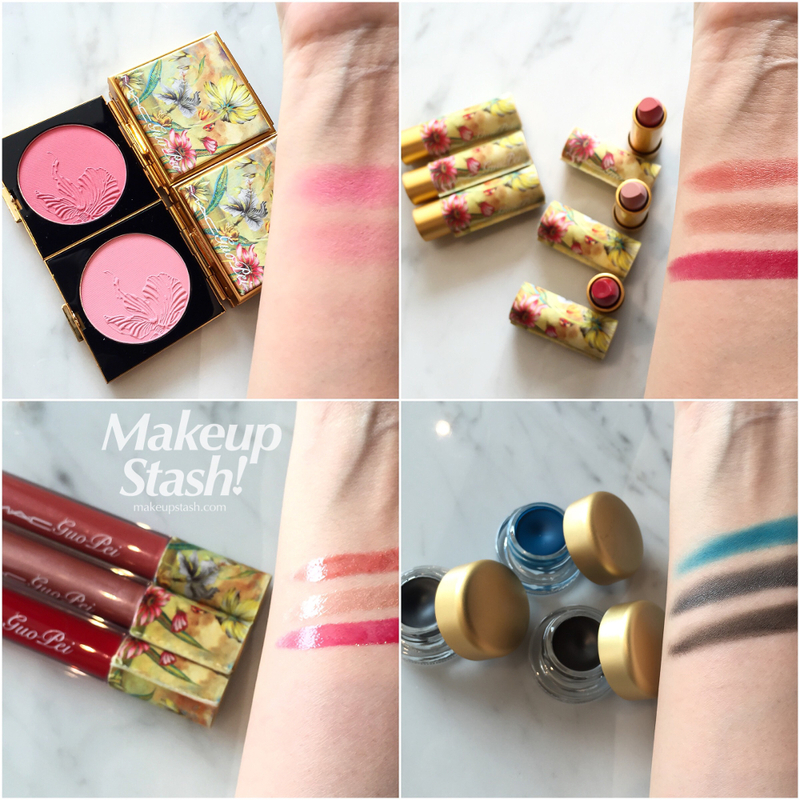 MAC x Guo Pei Collection in Singapore | Makeup Stash! 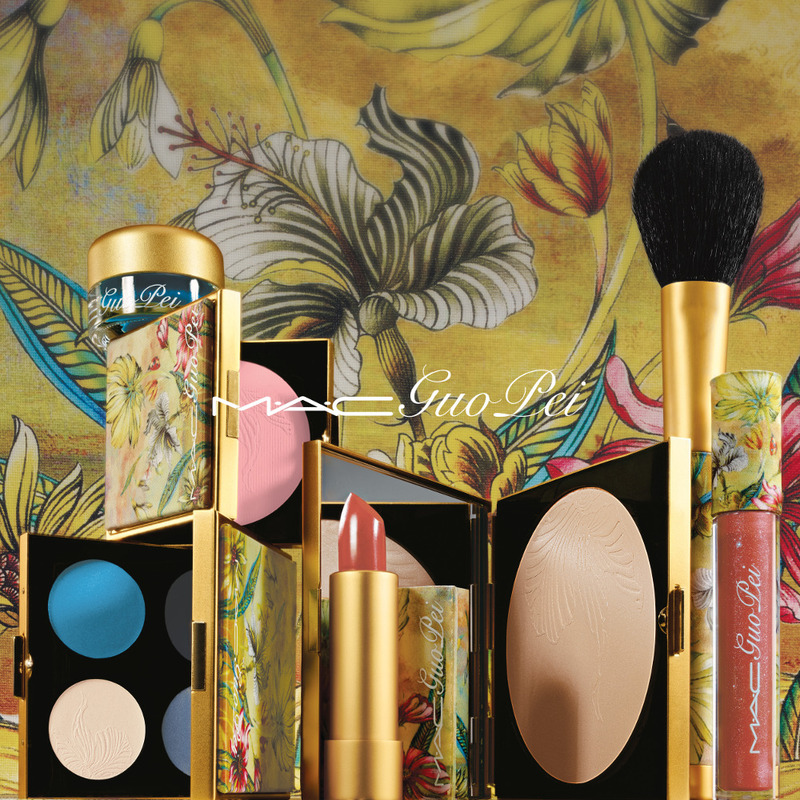 Launching today on our sunny island is the highly-anticipated MAC x Guo Pei Collection. 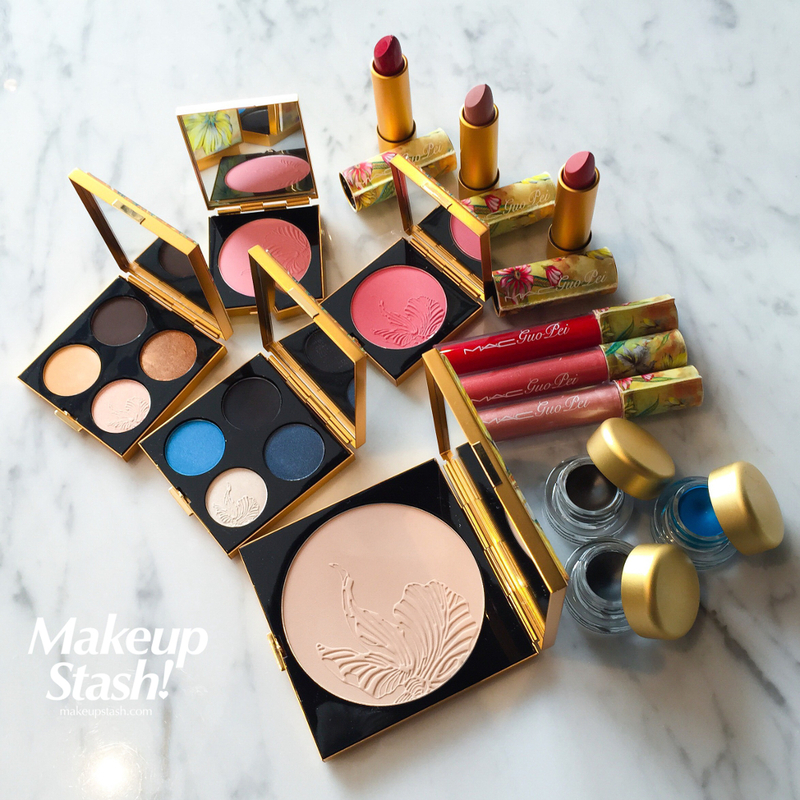 MAC’s annual luxe collection, it is a 180° change from the edgy Marcel Wanders pieces that dominated this category for some time, and is closer to the opulent gold of the 2014 Prabal Gurung collection but with the adornment of fancy florals. 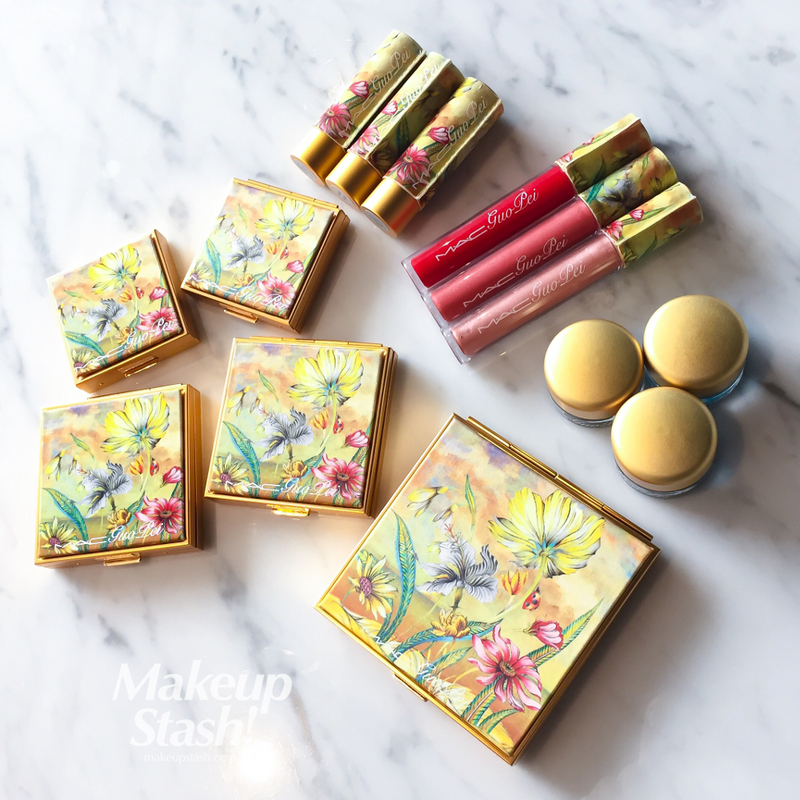 Inspired by the happiness that the “soul garden” can bring forth, the gilded fabric-wrapped packaging is hand-sketched by Guo Pei herself. China’s haute couturier du jour, she recently gained more prominence after dressing Rihanna in an elaborate golden-yellow gown for the 2015 Met Gala. 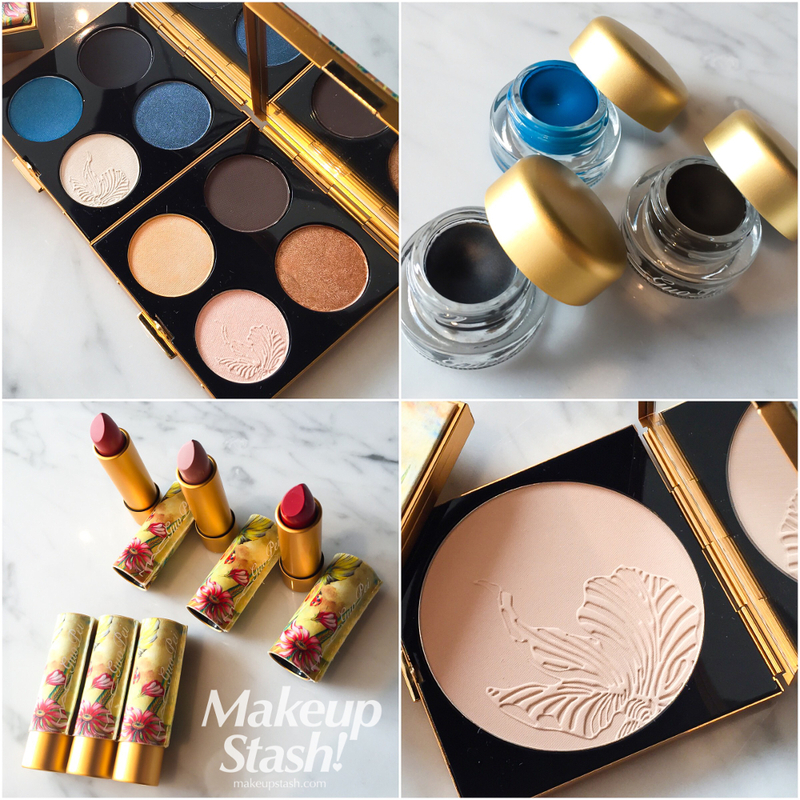 As with MAC’s luxe offerings, you can expect to pay a hefty price for the elaborate packaging. …merging vibrant jewel tones with lush neutrals, punctuated by deep graphite. 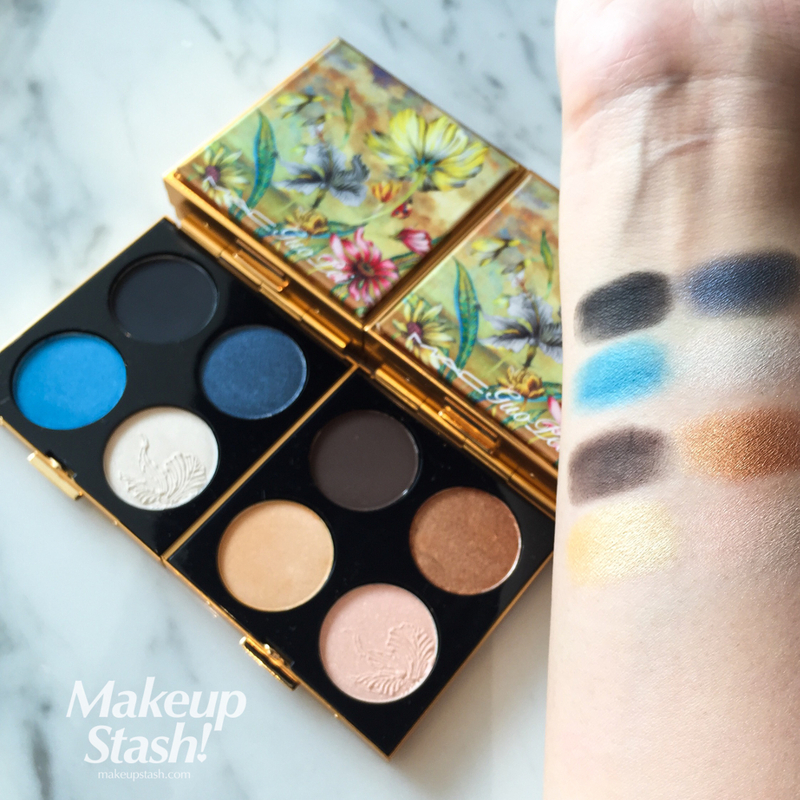 Thankfully, the shadows are mostly pigmented and swatch well; they carry none of the chalkiness that some pre-made MAC eyeshadow palettes are wont to do. 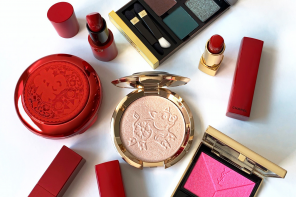 Though they contain permanent colours amidst special-edition ones, these compacts are worth picking up if you love the packaging and the complementary combinations. The delicate flower (butterfly?) embellishment notwithstanding, I love the blushes for their softness of tone and blendability. 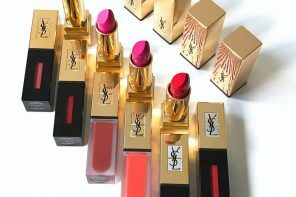 In safe—almost boring—hues, the lip products might be prettily accented with floral-festooned fabric but aren’t outstanding in terms of colour. They are shades that will see a lot of wear, though. Housed in glass pots with pale gold lids, these crème liners aren’t as well-dressed as the rest of the collection but carry a beautiful smoothness that is characteristic of the range. I don’t have a photo of the fairly sheer all-over powder as it practically disappears into my skin but it has a smooth, matte finish that will probably suit those in the MAC NC20/25 colour code. In Singapore, this limited-edition collection is available from 1 October 2015 (today!) and is exclusively available at Tangs Orchard. When Iris was in New Delhi a few weeks back, she very kindly brought home a gift for me: Lakmé Eye Color Quartet in Tanjore Rush. 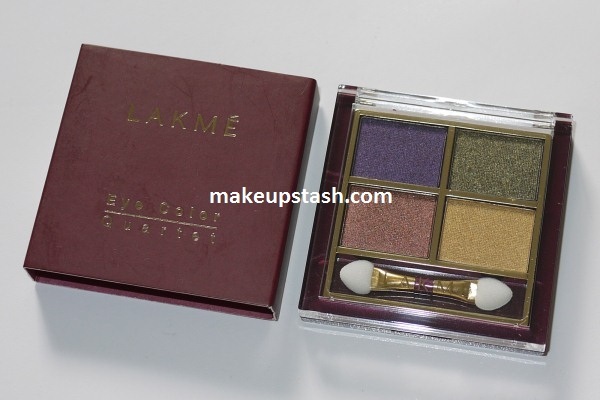 Part of the Gypsy collection, Lakme’s offering for fall 2010, this palette (425 rupees) is striking in its colour combination and texture….